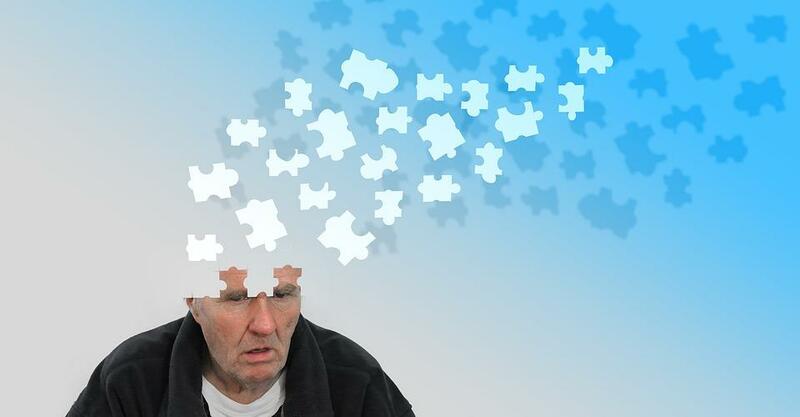 The Alzheimer’s disease, commonly known as dementia affects the mental health of a large population of elderly people. It is estimated that over ten percent of people over the age of 65 have risk of developing Alzheimer’s disease. Cognition-enhancing medications do help people suffering from it, but there is no definite and trustworthy cure for dementia. During youth, people tend to mostly ignore this disease and its symptoms and realize only when it is too late. History of Alzheimer’s or other mental illnesses in family. Specific diseases like Down’s Syndrome. Poor lifestyle and environment, leading to poor overall health, and hence, poor functioning of the brain. Losing or forgetting things, dates, events and places is usually passed off as a joke. You may blame it upon your busy schedule and whatnot. But is it happening too often of late? Or have you begun relying too much on your Smartphone to store information? It is okay to forget some trivial details, but if you are forgetting important information more frequently, it might be a sign of dementia bubbling. You might have done certain tasks all your life. Calculative tasks like maintaining financial balances etc which you have been doing for so long in your life but now finding it little difficult to do. Combined with this, you might also have difficulty in learning new things. Besides, events like you accidentally forgetting and bathing twice only to remember later that you had already showered once are increasingly more common. Do you keep forgetting dates and days too often? Have you also felt lost and directionless while visiting a place that used to be so much familiar? These signs are not good for mental health and might be early symptoms of dementia. If you are finding it unusually hard to find correct words to convey your thoughts, or are being too repetitive of late, it is a symptom of Alzheimer’s. You might also find it hard to follow stories or someone’s speech. Dementia is commonly preceded by depression. Not wanting to deal with any social changes or hesitancy in going out also point towards it. Especially when have been feeling confused of late and have problems finding directions and communicating, and so you better choose to stay alone inside the comfort of your home. Administering medicine and drugs: Currently many antidepressants or other drugs are in use to help with Alzheimer’s. These medications also help with memory symptoms and other cognitive changes. Creating a better environment: There is no definite cure of dementia, and people suffering from it should be kept in a safe and positive environment. Eating habits: People with dementia require special care when it comes to food and drinking. They may forget to eat or keep themselves hydrated, so care must be taken in this matter. Exercise: Doing exercise makes people with dementia feel better. It also helps them get proper sleep and rest. They can also find mental exercises suited to them to help memory and retention. Above medical and non medical from of therapies aim at improving the quality of life in a patient with dementia and provides easier way for the caregivers to take care of patient with dementia. Just like there is no definite cause or treatment for dementia, there is no fool proof way to prevent it. However, recent studies suggest that lowering the risk of heart disease also lowers the risk of dementia. This relation is as you keep your cholesterol levels health and blood sugar levels in check, and in general have a healthy diet, the chances of dementia decrease. In addition to this, having an active life overall - physically, mentally, and socially can also reduce the risk of Alzheimer’s.